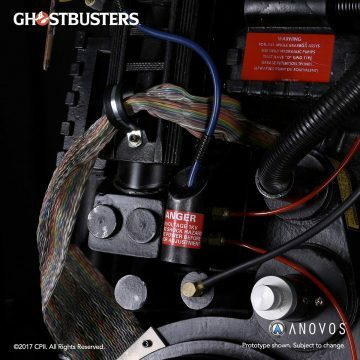 There have been several Ghostbusters proton pack replicas released over the years, but none of them have ever looked as good as this collaboration between ANOVOS, SonyArchives and Ghost Corps. 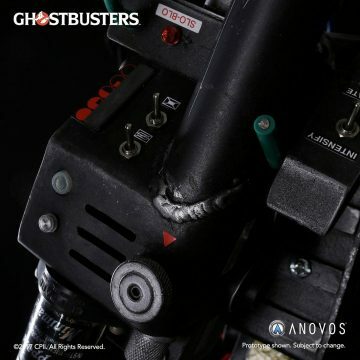 The Ghostbusters proton pack has been given an incredible new replica that has been carefully molded, built and painted to look like Egon Spenger’s own proton pack from the movie. There’s no better time to thrown an unlicensed nuclear accelerator on your back. “Using only the best molding techniques and the finest of platinum silicones to minimize mold shrinkage, our team employed ingenious techniques to painstakingly capture every detail, warp, and crack of the original Spengler pack. As you can see, the detail here is incredible. 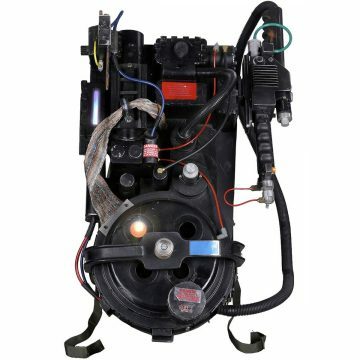 The Ghostbusters proton pack replica is a fiberglass shell with a metal backplate, and the neutrino wand is a combination of fiberglass, resin and acrylic. There’s also a bumper and ion arm constructed from high-impact resin with metal detailing. Even some of the valves and other select details feature metal construction. Plus, there are working toggle switches and buttons that create electronic effects. Now for the bad news: the Ghostbusters proton pack prop replica will cost you $3,499.99. That’s quite a lot more than the $950 you could spend to get a kit and build your own proton pack from ANOVOS, but this is a much more accurate replica build. Pre-order it now over at Entertainment Earth. 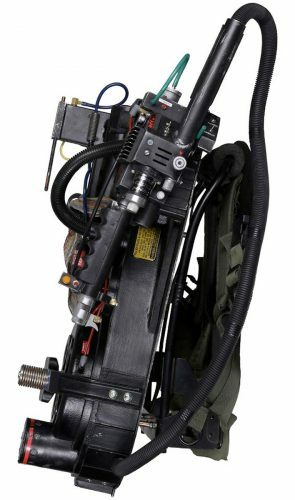 The post Cool Stuff: This Is the Best ‘Ghostbusters’ Proton Pack Replica Ever Made appeared first on /Film.